Elia makes a strong case, and a moving one: Much indeed has been lost. There are no more Luigi Veronellis or Giorgio Grais, no Edoardo Valentinos, and all too soon there will be no more Franco Biondi-Santis. Pioneers like Renato Ratti and Giacomo Bologna are long gone, as are retailers as passionate and devoted as the still-lamented Lou Iacucci – that is now a rare breed indeed. I could give you similar doleful litanies for France and California, but the easiest way to see what has passed is to look to Bordeaux and see how many estates are now owned by corporations or insurance companies or banks or have been conglomerated under a single ownership. What used to be proudly idiosyncratic is now the province of suits. As Kurt Vonnegut would say, So it goes. And yet, and yet …. It ain’t all bad. I’m certain I qualify as an old fart, and I know I’m as much given as anyone to lamenting the passing of the good old days. I agree emphatically with most of what Elia says. Particularly I deplore, as he does, the noise levels in restaurants that make conversation impossible and paying attention to what you’re eating and drinking difficult at best. That’s why Diane and I seldom dine out any more (actually, that and restaurant wine markups), unless we can find a restaurant that still believes its primary purpose is to feed its clients rather than deafen them. But for those of us who love wine, as Elia surely does, it has to be admitted that we are in fact living in a golden age of wine. There is more good wine being made today, by more people, in more places, than ever before. Yes, there are oceans of grape swill being made as well, and they will continue to be made and marketed as long as there are people foolish enough to buy them. We’ve all encountered people who drink wine – why, I’ve never understood – that they purchase by price alone. I am not exaggerating when I tell you I’ve met a publisher of a small newspaper who told me that he doesn’t believe in spending more than $3 for a bottle of wine. But, but …. There is an up-side to all these downs. Because of that technology we too often complain of, because of those crass commercial incentives, because even of global warming (think of the string of great vintages in Burgundy and in Piedmont), but most of all because there still are winemakers out there who care passionately about what they’re doing, people who would probably still work their hearts out to make great wine even if they couldn’t command the kind of prices for it that the market now allows – for all those reasons, I think this is not the time to give up on the wine world. I don’t think it will ever again be the kind of clubby little knot of connoisseurs it once (supposedly) was. But the passion that I see in winemakers in France and Italy (the areas I know best), the curiosity to explore neglected varieties and to preserve local traditions – those are things that tell me that the romance is still alive. Yes, I’ll admit that one man’s romance can be another man’s hype. I can even accept that the same thing can be both; there’s a market too for folklore and traditions. But that doesn’t alter the fundamental fact: A person willing to take the trouble to learn a little bit can easily find fine wines to reward the effort. The rub, perhaps, is “taking the trouble to learn a little bit.” As Elia observes, nobody seems to want to do that anymore. Nothing – nothing of any sort – teaches you about wine like the drinking of it, tasting a wine by itself, with different foods, in different vintages, in comparison with other similar and dissimilar wines. But that takes time and effort and a willingness to pay attention, take notes, and remember. Apparently – and Elia is surely right about this – most people can’t be bothered to do that, when they can call up a numerical score on their iPad and place any wine exactly in its predestined place in the wine universe and be assured thereby of their own exquisite taste. If you can buy expertise and knowledge the same way you buy a pair of shoes or a new app, who needs experience? Regard that question as rhetorical: We all need experience. There is – ask any wine professional – a huge difference between theory and practice. Just knowing the number that the Wine Advocate or the Wine Spectator assigned a wine tells you exactly zero about the wine, and less than zero about how much or little you will enjoy it. Only your own experience will tell you that – and people who are now starting to foray into the world of wine are blessed beyond measure by the bounty of splendid wines available for them to learn from. Despite that, some no doubt will settle for plonk. Some will become the kind of wine poseurs we all hate. But some surely will catch the passion and carry on the tradition of discrimination and refined enjoyment whose passing Richard Elia – prematurely, I hope – laments. Postscript: I received this e-mail from Burton Anderson. I’m posting it here so that I can provide a link to his book excerpt. Dear Tom: Just read your new post and, of course, found myself in total agreement, not only with your words but also those of Richard Elia. For what it’s worth, I’ve attached an excerpt from a chapter of a book I’m working on. Warning: This one’s mainly for passionate wine geeks. Can you generalize about the differences between Barbera d’Alba and d’Asti or does the producer’s hand trump geographic differences? That seems straightforward – but the good doctor is really asking the King Kong of wine questions, one that pretty much divides the wine world: What carries the most weight, terroir or technology? Viticulture or viniculture? Geography or cellar savvy? Nature or nurture? Luck or cunning? LUCK . . . ? Let’s start with some facts about human ingenuity. There is probably no harvest so bountiful, so perfect, so overflowing with vinous potential that some winemaker can’t screw it up through sheer wrong-headedness and stubbornness. Our world could not have achieved half its astonishing lunacy without an overabundance of that human capacity. So in an absolute sense, in every sphere of life, nurture will beat the hell out of nature every time. 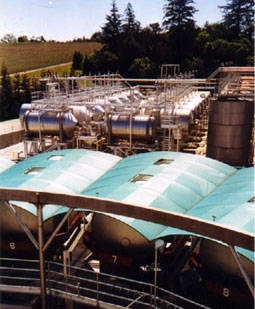 In wine terms, there is no terroir, no matter how distinctive, that can’t be bent out of recognition by the devoted application of hundreds of thousands of dollars worth of new barriques, concentrators, reverse osmosis procedures, and similar marvels – just as surely as it can be undone by old-fashioned, non-temperature-controlled fermentation, dirty tanks and cellars, excessive oxidation, and so on.
. . . OR CUNNING? Beyond that lamentable fact, there is a real question about how much terroir we can actually taste in a wine – or what we are in fact tasting that winos call gout de terroir. Some recent studies, as reported by Jon Bonné, seem to show that there is no reflection of a soil’s chemical or mineral composition in the wines ultimately drawn from it – so where does all that Kimmeridgian chalk that generations of Chablis connoisseurs have claimed to taste actually come from? Can it be the effect of vinification procedures rather than the fruit of the sacred terroir? The cunning of the winemakers rather than the luck of the location? Say it ain’t so, Joe! Alas, it could be. The vast majority of wines in which we discern and revere the gout de terroir are old-world wines – the great Burgundies, Champagne, Savennieres, Barolo and Barbaresco, and even our humble (well, not entirely humble) Barbera. These are all wines that have been grown in the same soils and vinified in more or less the same ways over centuries. During those centuries, field techniques and cellar techniques converged on a norm. The resulting wine gradually embodied what we have come to refer to as gout de terroir – the characteristic taste and style of wines from these places. In other words, gout de terroir is as much cultural as it is natural, a fusion of nature and nurture. So, can you generalize about the differences between Barbera d’Alba and d’Asti or does the producer’s hand blur or even obliterate geographic differences? Even allowing for the fact that a sufficiently motivated wine manipulator could produce a wine that I wouldn’t even recognize as a Barbera, much less an Asti or an Alba, I would say Yes, we can generalize about those differences. Precisely because these are long-established wine zones, with equally long experience with Barbera, each has evolved its characteristic and recognizable way of making the wine. The winemaker’s hand has learned over the years to supplement or complement the effects of terroir. 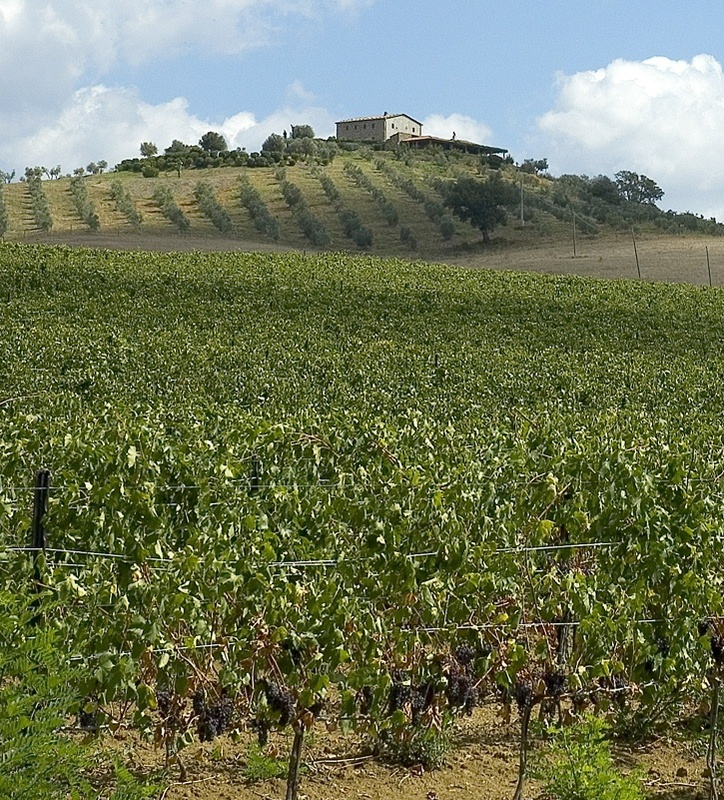 The producer’s techniques combine with those qualities to make a Barbera properly of Alba or of Asti. Sure, I can conceive of a winemaker in Alba reproducing the bright acidity of Asti, or a winemaker in Asti duplicating the roundness and darker fruit of Alba – but I can’t imagine that they would want to. The situation changes greatly when you move to new territories, new vineyards, a vinous new world. Does anyone have any clear idea of what, for instance, Napa gout de terroir is? Or Santa Lucia Highlands? Or Russian River? There has not yet been sufficient acculturation, not even sufficient agreement about what grapes to grow, to talk about what best expresses the character of the terroir. In such circumstances, technology reigns supreme, and the appropriate phrase to describe their best products is to talk about a “well-made wine,” because it is the making that defines the wine. Nature needs time to assert itself; technology is immediate. 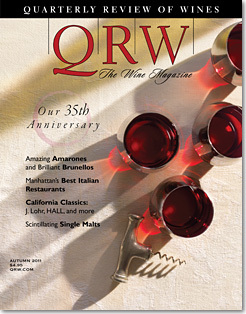 So – for most established old-world wines, I think we can safely generalize about the characteristics of their growing areas, not because nature strong-arms winemakers into a pattern, but because over time winemakers have acculturated themselves to their terroir and evolved, in partnership with it, a culturally based model of what their region’s wine should look like, smell like, and taste like. That is gout de terroir, and it is as real as anything is.